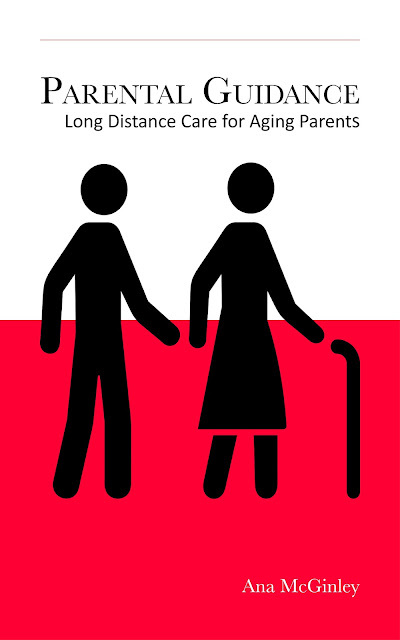 Parental Guidance is the essential how-to guide for people who don’t live in the same town, city, country or continent as their parent, yet want to actively ensure their parent gets the help they need to maintain well-being, safety and happiness at times when health problems attack independence and longevity. Get the Parental Guidance Book! I have some good news! After a few weeks of family dysfunction and the delay this causes - my father has been taken off all medication, except medication needed for pain relief. He is, as hoped, a slightly more responsive more often, less glassy-eyed, and more like himself in the brief periods when his brain is connecting the dots of his life. It is the outcome I was hoping for: that Dad has the chance to be himself, to react to the people around him, to appreciate his surroundings. Yes he is still in hospital awaiting a nursing home bed. Yes he still can't independently move his left arm or leg. Yes, he still can't be independently relied upon to feed himself. Actually he can't even reliably remember family members or hold a sensible conversation that lasts more than a few minutes. Yet because he is no longer a zombie, sitting of lying in bed waiting out his days in a chemical haze - the quality of his life has improved, and family can enjoy seeing a smidgen of the man we know. Risperdal is not approved for use in psychotic conditions related to dementia. Risperidone may increase the risk of death in older adults with dementia-related conditions. 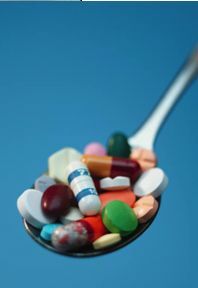 Stop using Risperdal and call your doctor at once if you have fever, stiff muscles, confusion, sweating, fast or uneven heartbeats, restless muscle movements in your face or neck, tremor (uncontrolled shaking), trouble swallowing, feeling light-headed, or fainting. Although my father has an obvious dementia, his level of confusion increased while taking Risperidal. He required additional medications to treat his tremors and the restless muscle movements in his legs (often common in people who have had a stroke). Hence, my question was - does Dad really need to be on this medication. Could his irritability be related to pain? Could the Risperidal be adding to his confusion and tremors? I am not anti-medication. I love my pain relief, antibiotics, antihistamines, epidurals etc as much as the next person. What I don't like to see is medications given to older people without looking at alternatives to treating symptoms like irritability, pain and depression - especially in people with a dementia. As a family member - you can advocate for your parent by asking whether medications are really essential, safe, and improving the person's quality of life. Many of us are not comfortable questioning decisions made by doctors - but doctors are simply service providers doing a job. Do your own research, voice your concerns, ask questions about medications - and seek out alternatives if you feel your parent is lost in the blur caused by being over-medicated. THE BOOK IS AVAILABLE NOW!!! !